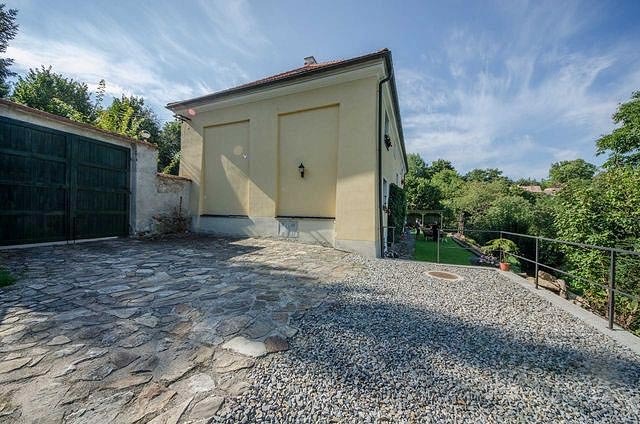 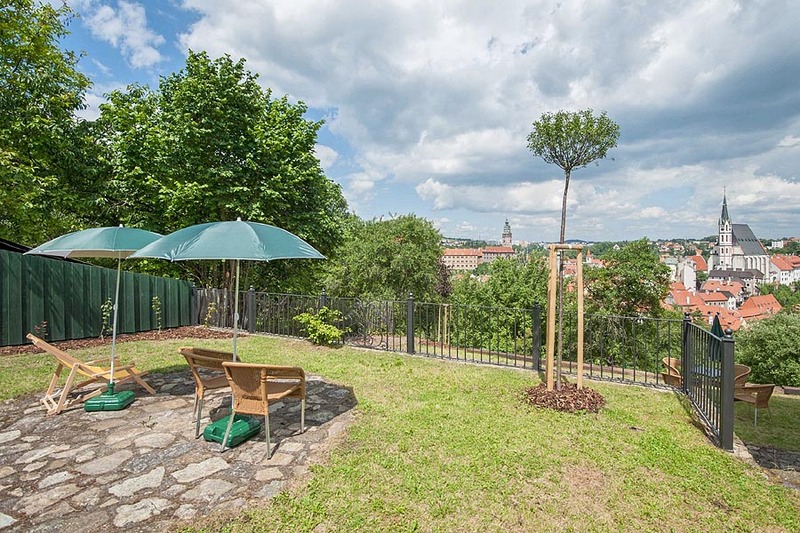 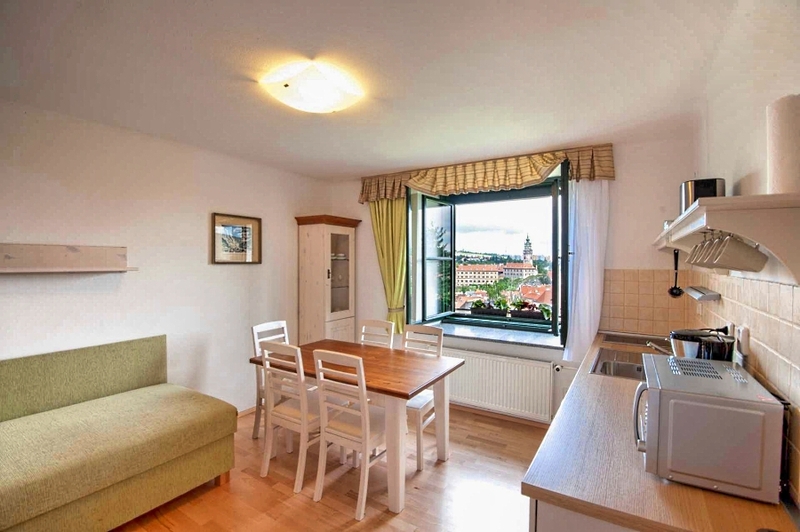 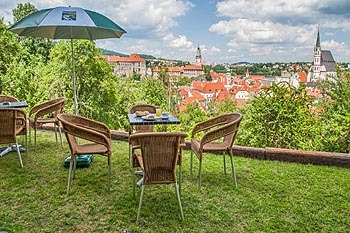 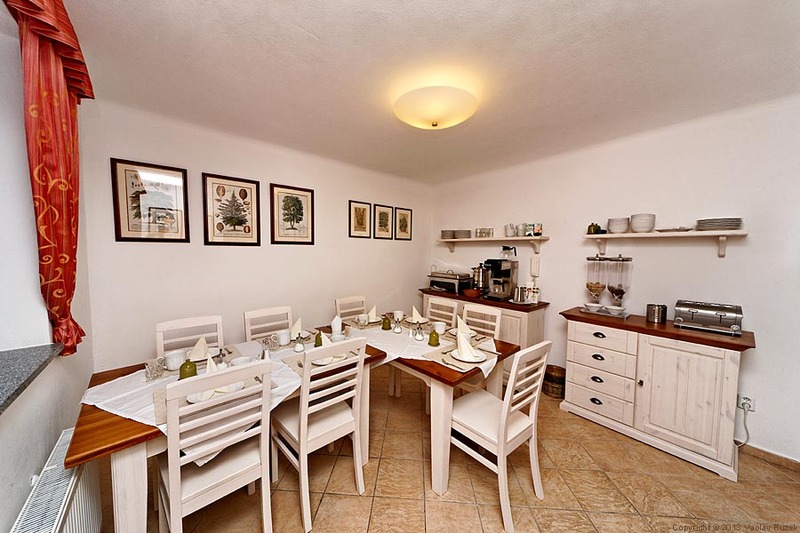 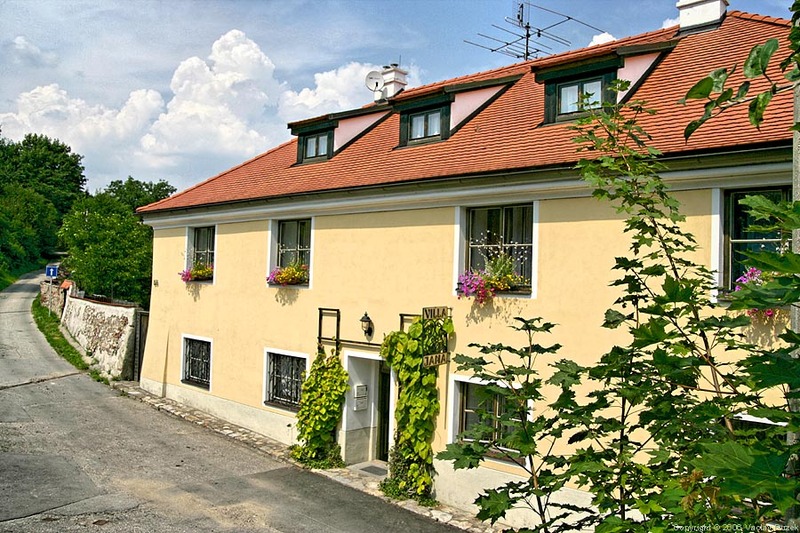 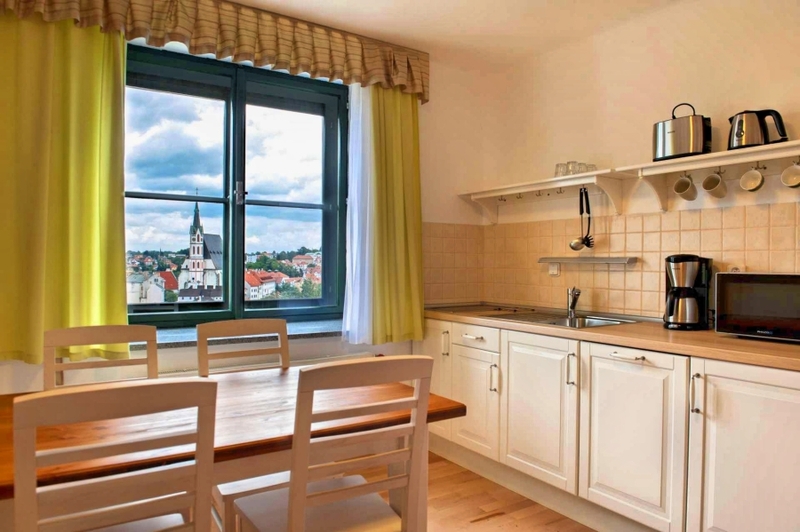 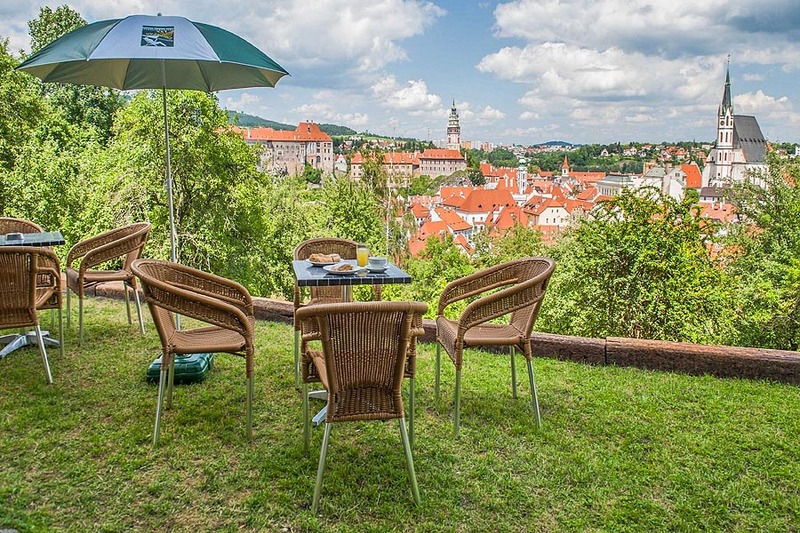 Villa Johanna is situated in the middle of green hills surrounded by gardens, only a few minutes walking distance to the historic centre and the Castle. Villa Johanna is located on a land with a beautiful garden and you will get to the centre or the castle in few minutes on foot. 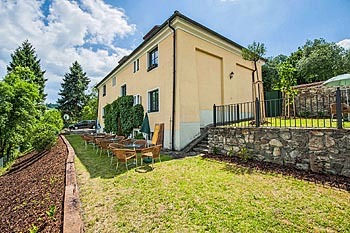 Villa Johanna had a complete reconstruction in 2012. 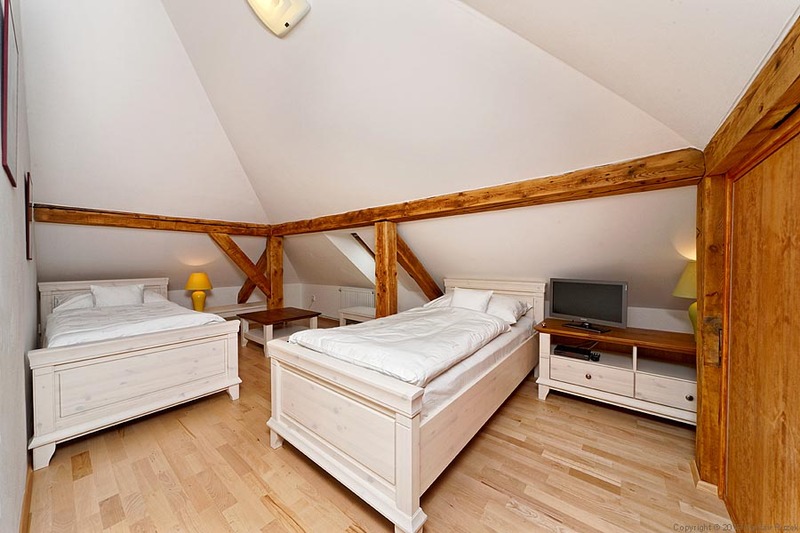 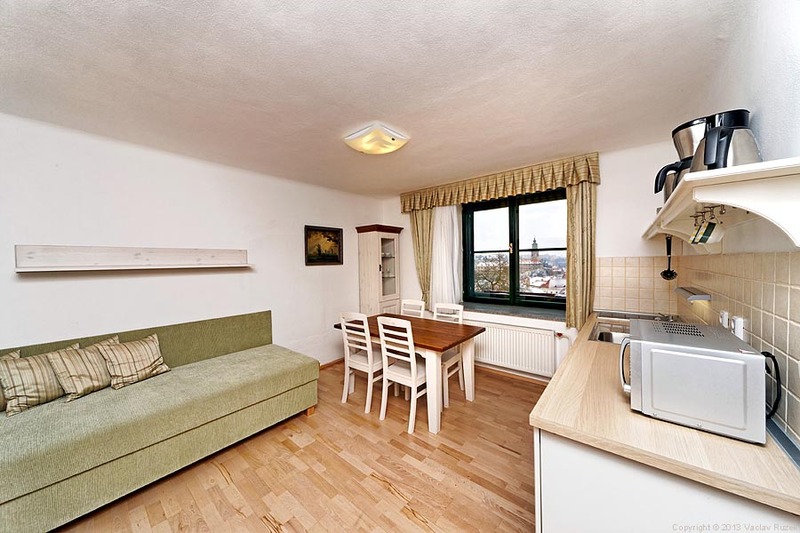 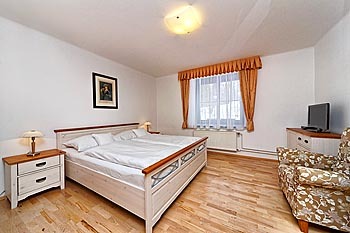 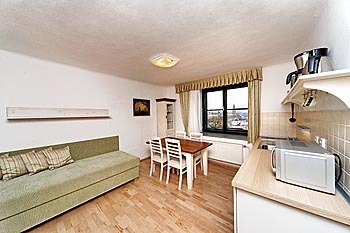 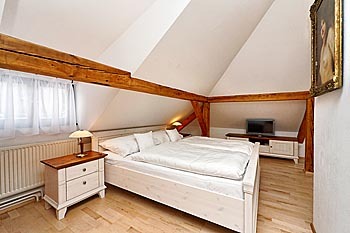 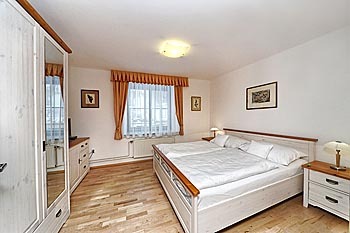 We offer accommodation in four luxurious apartments. 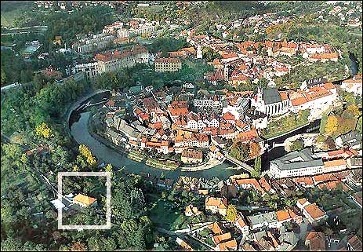 Each of them differs in size. Some of them have the capacity for up to five people. 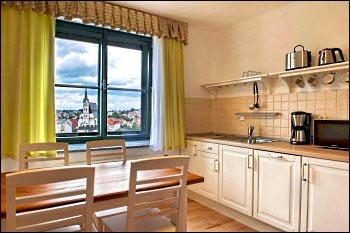 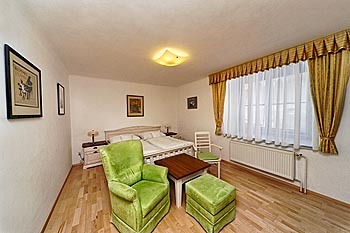 You will be pleasantly surprised by the equipment of the apartments. 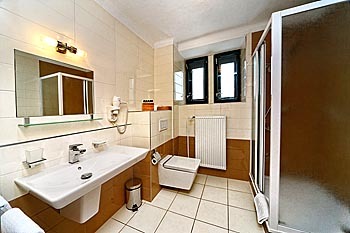 Each of them has its own modern, fully equipped small kitchen and a bathroom with a shower enclosure. 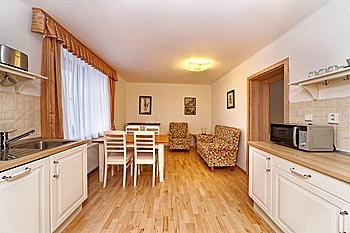 We also provide our guests with a Wi-Fi connection. 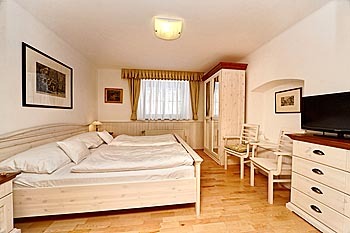 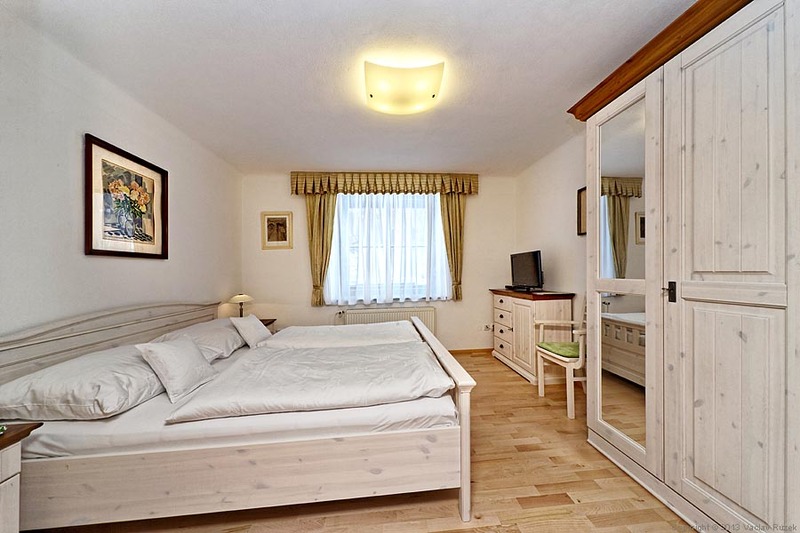 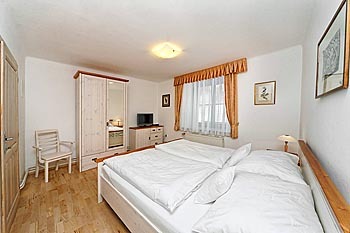 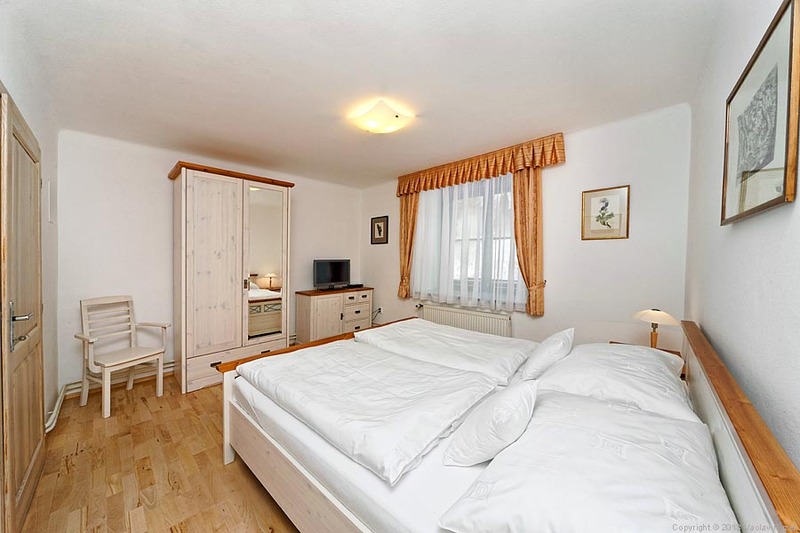 Two rooms - bedroom with double bed and living room/kitchen with pull out couch, bathroom with shower and toilet. 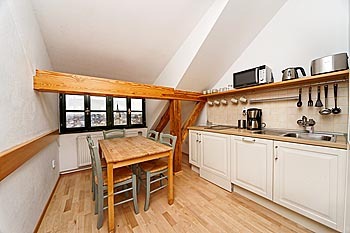 The total space of the apartment is aprox. 44 sq.m. 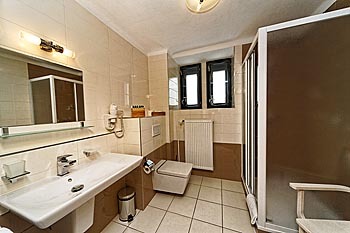 Three rooms - 2 bedrooms with double beds and living room/kitchen with pull out couch, bathroom with shower and toilet. The total space of the apartment is aprox. 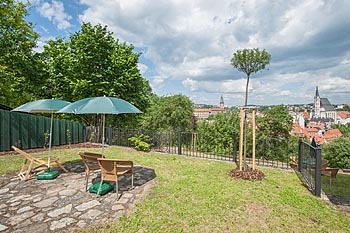 64 sq.m. 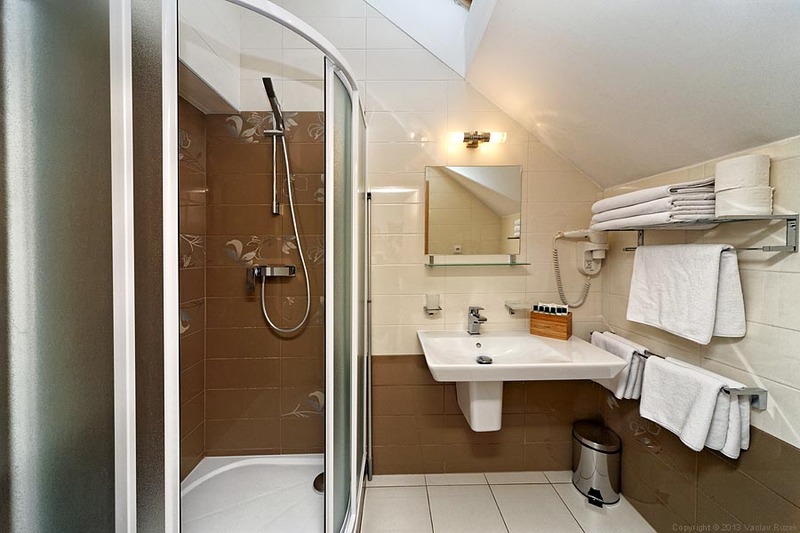 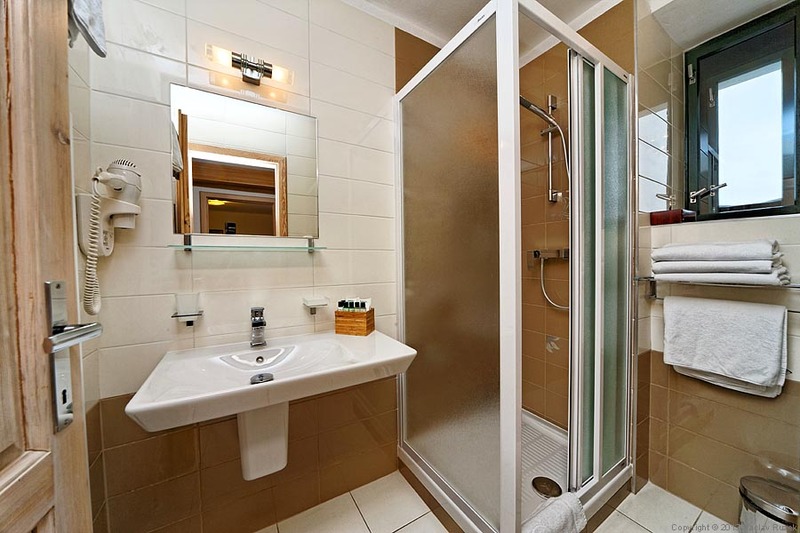 One large penthouse room with 1 double bed and 2 single beds, separate kitchen and bathroom with shower and toilet. 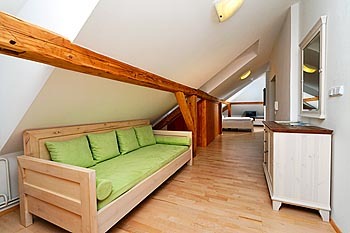 The total space of the apartment is aprox. 120 sq.m. 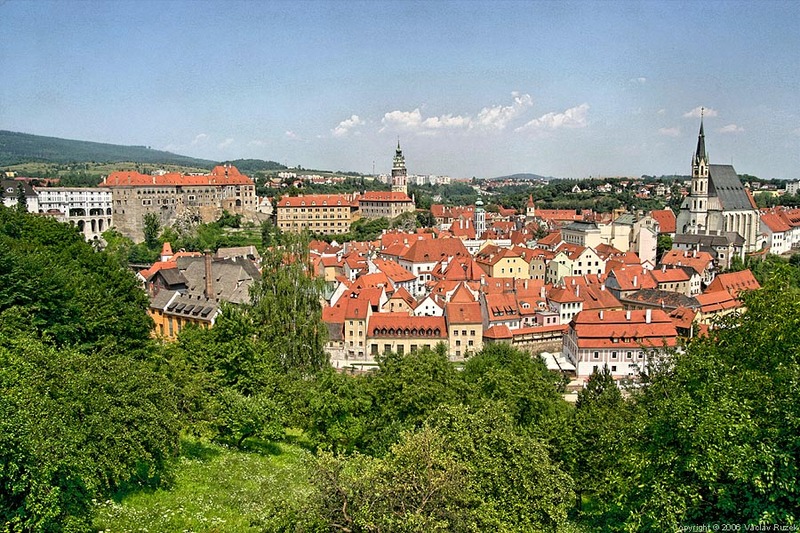 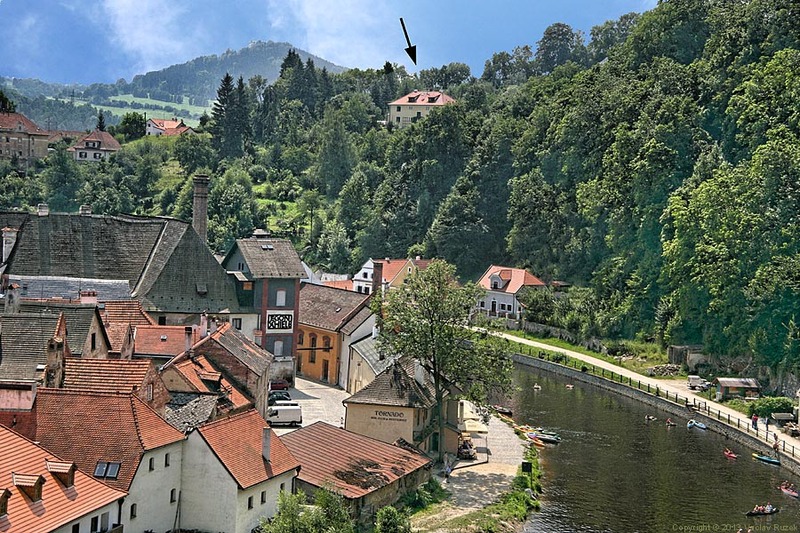 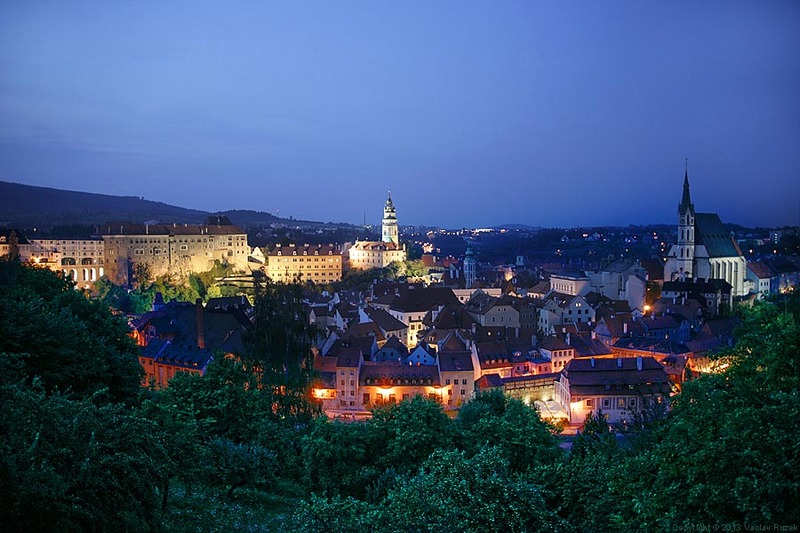 Medieval town Český Krumlov with its impressive castle and a castle garden has been listed as a UNESCO World Heritage Site since 1992. 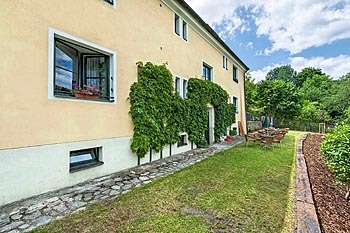 Villa Johanna is located only few steps from these sights. 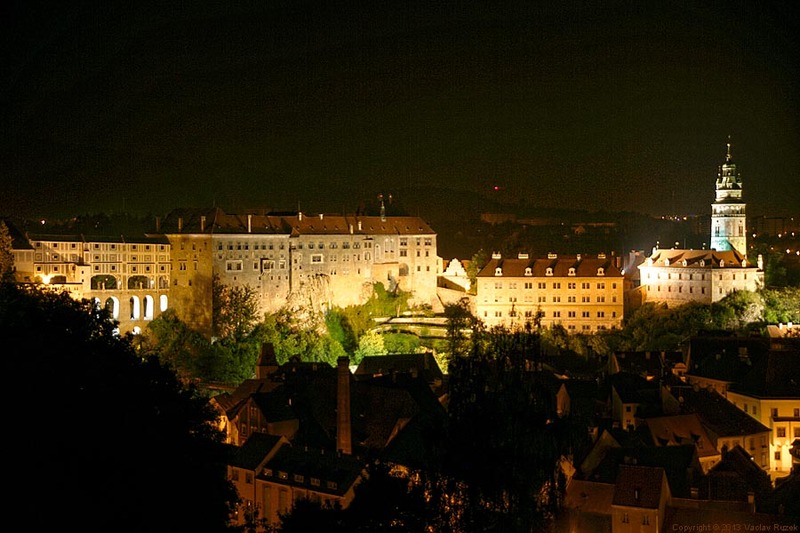 Enjoy this romantic view of this beautiful historical town. 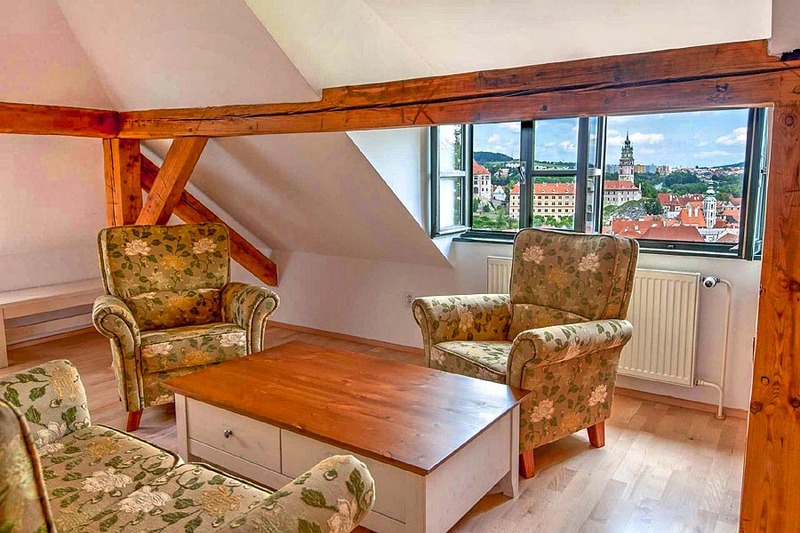 Unique view of an old town panorama, Krumlov castle and secluded places of the Vltava river can be seen from our windows and a terrace. Free parking is arranged for our guests on the property. 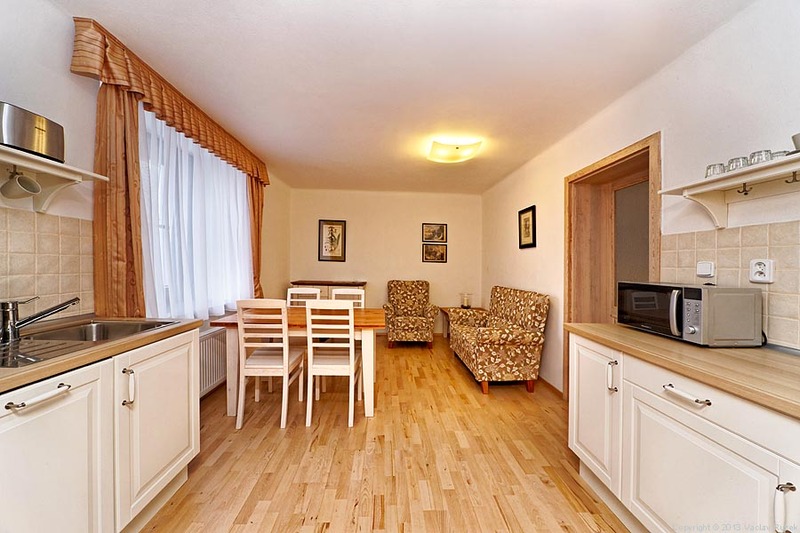 Prices include parking, WI-FI connection and all taxes.